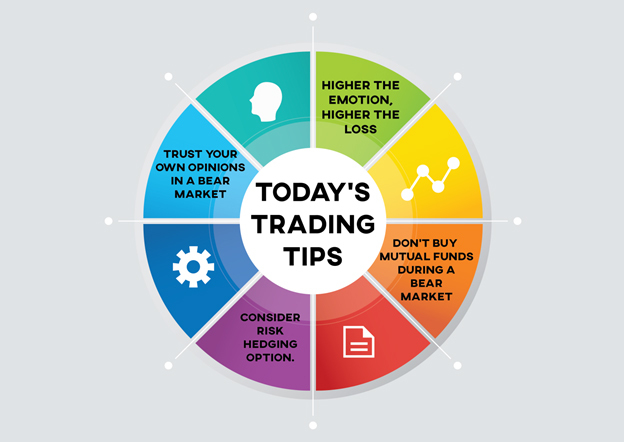 Given below are 30 facts and tips you should keep in mind while to trade successfully and avoid losses in a bear market. Sell everything and attain 100% liquidity. This way you can both avoid losses and have money to buy stocks when they are at their cheapest. If you are buying the stocks in breakout (after a certain period of resistance or support), take any profits that you can get quickly as the market after a breakout is highly volatile. Don’t base your decisions on stock market ratings. In a bear market, almost everything has a chance of failure. Sell all of your mutual funds as soon as possible as their value can go down and become nothing. Don’t invest all of your life’s savings in the market without having a proper understanding of every aspect of a bear market. Don’t buy mutual funds during a bear market. For every stock that you buy during a bear market, put a stop loss at 2-4% of their price versus the usual 7-10%. Investors tend to put a lot of money in a bear market thinking everything is cheap. Keep your financial goals in mind and consult your financial adviser before taking any decisions. Do not base your decisions solely on recommendations of analyst during a bear market. Do your own research as well. For earning good profits of 5% or upward, sell the stocks in a single day or day after and move on. Trust only yourself, especially when the market is bearish. Take no one else’s advice. Buy positions which are larger and defensive and which can yield higher profits. Buy ETFs. You can short these in the markets to reduce your overall chance of losses. Don’t try to time the market and predict when it is going to be bullish again. Remove positions that require you to maintain a margin with your stockbroker. It is time to get away from the share market if you experience three heavy distribution days (when an index such as Nifty50 falls by a specific percentage). And if the bear market has seen three accumulation days in a row (when more people are buying shares in the market), enter the market with extreme caution. When everyone starts talking about the bear market and the news channels tag the market as being a bear that is the time you should start buying. You should keep in mind the fact that generally only three out of four stocks run on the current market trend. You should consider buying options to hedge your risks in the bear market. Ask your broker to send you the list of your current securities and your account status as soon as possible. Some bear markets can go on for months and even years; you should invest your money accordingly. If you are an inexperienced investor, this is not the time for you to ‘see what happens.' It would be wise if you kept away from the market at this time. Irrespective of how small, profit is always a good thing during a bear market. Walk away with any profit you can earn. The more the emotions during a bear market, the more money you will lose. The biggest sellers in a bear market are the companies which have the largest market capitalization. You should retain the stocks of a company during a bear market only if they have not fallen below 10%. Never look to unnecessarily diversify your portfolio by buying stocks of ordinary companies during a bear market. It will always lead to a huge loss. Keep in touch with your brokerage firm and be updated with the news. Be patient and avoid rash decisions. 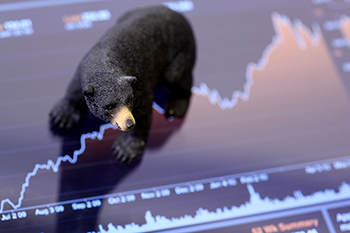 Bear markets are highly volatile. Again, do thorough research before buying any stock in a bear market.